What does it take to believe all over again? What does it take to get faith restored and perhaps look at life the way you never did? It is strange how in today’s time, when faith is most needed, people are renouncing theirs at the drop of a hat. I sometimes wonder how they do it so easily. So effortlessly – this giving up on something they believed in once upon a time. However, at sometimes I also believe that faith has not gone anywhere. It is lying deep somewhere within them – waiting to be reignited. 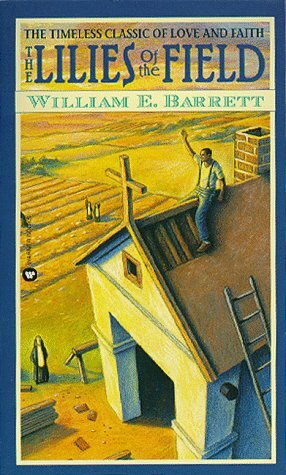 “The Lilies of the Field” by William E. Barrett is one such story of faith – which is most simply and beautifully told. It all starts when Homer Smith, an African-American ex-GI, bumps into five German nuns, who cannot speak English fluently but have a dream – that of building a church in the middle of nowhere. This is where this small gem of a book takes off or rather is about. The book tells us about how the nuns came to be where they are and how Homer is where he is in his life. It is about dreams and how perhaps we give up too soon on them sometimes. There are no lessons and it is not preachy. It is just the way it is – subtle and full of simplicity and grace. The writing is simple (I somehow have a thing for simple writing. I tend to automatically get drawn to it.) and beautiful. I first read this book in 1999, when I was in the most major sense having my personal moment of faith crisis and somehow I tided over that time. This time round, I just wanted a book that would make me feel good and somehow this one came back to mind and I had to buy and read it. I recommend it quite heavily. It is just like hot chocolate, which is most needed sometimes. This entry was posted in Books, Grand Central Publishing, Literary Fiction, Review and tagged Church, Faith, Grand Central Publishing, literary fiction, Man, Nuns, The Lilies of the Field, William E. Barrett on October 3, 2013 by thehungryreader. I guess every family is dysfunctional and deals with their problems in their own way. Maybe that is what makes families what they are – the one support system you cannot do without, irrespective of the size of the family. These thoughts and more crossed my mind as I finished reading my last read of January – “The Middlesteins” by Jami Attenberg. On the surface, the book is about a morbidly obese woman Edie Middlestein, who has been advised by the doctors to either lose weight or die and her family coming together to save her. On the other, it is about failed relationships and the cracks that appear sooner than we know and how life has the ability to never let things go the way we want them to. Edie and Richard have had a wonderful American suburban life for over thirty decades with their kids – Robin and Benny, a nice house, a great job and everything seems rosy, except for Edie’s eating disorder. Richard leaves Edie and then it falls on the kids and Benny’s wife Rachelle to get things in order, for almost to save Edie. At the heart of the book, there are always so many questions gnawing the reader’s mind: Why did Edie eat the way she did? Didn’t she know the implications? Why did Richard leave her? Also, what I found most intriguing in the book was the way their religion (Jewishness) is inter-connected beautifully in the book, without overtaking it. The Middlesteins has been written very well and that is what kept me turning the pages. The writing is wonderfully structured and goes back and forth in time to explain the things Edie and the rest of the family does. Of course the more traditional elements of every dysfunctional family are brought out excellently, so I could also somewhere see parts of my family there – the sort of inane connect a reader has with a book. Read it if the idea of something dysfunctional and full of some dry humour captures your interest and attention. 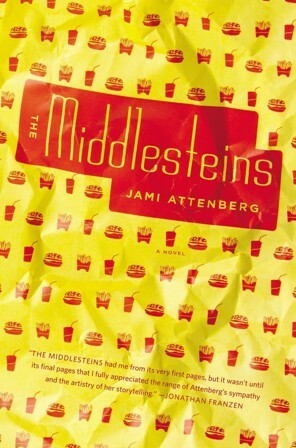 This entry was posted in Books, Grand Central Publishing, Hachette Book Group, Literary Fiction, Review and tagged Dysfunctional families, Grand Central Publishing, hachette, Jami Attenberg, The Middlesteins on February 1, 2013 by thehungryreader. It is impossible to turn away from this story once begun, so be forewarned and prepared to read it in one sitting. Though this is only to feel the loneliness of missing a great friend, and to want to begin all over again. Unlike many big stories that try the reader’s patience with unnecessary details, Nair’s novel efficiently contains a multi-generational family saga, loves, deaths, secrets, ruin, and rebirth. We feel the thrill (and terror) of the heroine’s explorations in a new world, of her discovery of her mother’s devastating deception, and finally of her catharsis in learning to let judgment evolve into compassion and a return to the people and places that almost destroyed her family. Rakhee Singh leaves a letter for her fiancee along with her engagement ring before heading off to India. The letter explains that she has been keeping secrets from him, and that she must return to India to resolve some things that happened there when she was eleven. That summer, while traveling with her mother, Rakhee is introduced to a whole new world which is much different than the life she leads in Minnesota. When she arrives in India with her mother there are a plethora of family secrets that Rakhee plans to solve. Who wrote the letters that drove her mother to make the decision to return to India? Is there really a child-eating monster hiding in the jungle behind the home of her ancestors? What she discovers will shape the person she becomes and will force her to return to her family years later to put this baggage to rest before she can marry the man she loves. 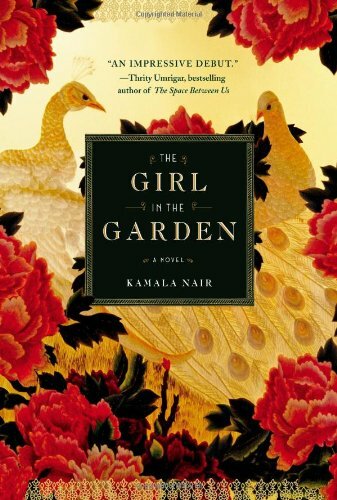 The originality and beauty of The Girl in the Garden, its wonderful strangeness, and its lifelong friendship with the reader, lie in the heroine’s narrative deftness in subtly yet wholly altering the reader’s expectations and perceptions of the two worlds of the novel. Nair sharply contrasts the whited sepulcher of Plainfield, in a Midwest as cold and colorless and alienating as its name, with Malanad, a South Indian village as warm and riotously hued and vital as the Indian myths that Rakhee’s cousins, her first real friends–particularly the bright, bold, brilliant Krishna–enact for their shy American visitor. These stories come to signify the sheer force of living that Rakhee has been denied, and has begun to deny herself, as the neglected child of parents imprisoned within their own tragic pasts. They revive her dormant sense of self, and with keen psychological insight into how children perceive their world, Nair shows the therapeutic power of storytelling in helping Rakhee to make sense of the confusing behavior of her mother, of her mother’s family, and finally of the devastating secret they have conspired to conceal since before she was born. Her childhood chronicle is a tone poem startling for its crescendoes of titanic discoveries and confrontations, yet written largely from the quiet wonder of a child’s daily explorations and introspections in deciphering, again, the strangeness of growing into oneself. The magic moment, when the novel ceased to be a compelling mystery about Rakhee’s summer journey to India to discover the source of her mother’s unhappiness, and became a timeless story that has been told and will always be told, simple yet coiled in complexities vast and deep, came over me as Rakhee observes the incandescent coastline of Kerala from her airplane window. She is awed before so much that is beautiful and beyond her comprehension. Her world, our world, begins to expand to admit the history of a family that stalks softly, under the guise of this impossible beauty, as they unsheath the brutality that will destroy all their old complacencies and lies, making space, finally and gently, for resilience and reconstruction, grace and forgiveness. For a debut, The Girl in the Garden is fairly accomplished, but that is mostly due to the last quarter of the novel. Everything leading up to the end is averagely lukewarm, predictable and uninspired, until Rakhee makes the decision to follow her head and heart instead of her relative’s orders. Her actions deeply affect the lives of her relatives and the novel becomes the dark and mysteriously lush tale it claims to be. The Girl in the Garden is perfect for that long flight, that incessantly rainy afternoon or simply when you want to get lost in a beautifully written book that will spirit you away. Turn your phone off and disable your doorbell, because nothing can tear you away from The Girl in the Garden. This entry was posted in Books, Grand Central Publishing, Hachette Book Group, indian fiction, Literary Fiction, Review and tagged Grand Central Publishing, Hachettte Book Group, India, indian fiction, Kamala Nair, The Girl in the Garden on September 4, 2011 by thehungryreader.